Currency: Dollars. 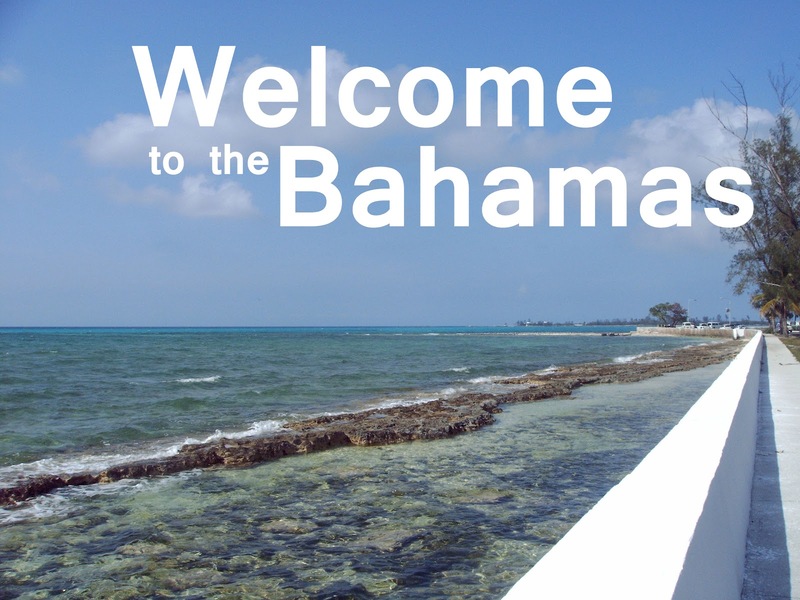 The Bahamas welcomes US dollars - they are treated as 1:1 with Bahamian dollars. The US does not, however, welcome Bahamian dollars, and you'll find it easier exchanging the US dollars back to your home currency once you return, so spend the Bahamian dollars you get or exchange them in the banks here before your departure. There are limits on the amount of dollars you can bring in and out of the country - but unless you're a big spender, I wouldn't worry. If you start thinking in the thousands and thousands, it's worth checking out the limit. Banks: There's a selection of banks here, all with cashpoints that allow you to use Visa to withdraw currency on your overseas bank card. The main banks are the likes of Royal Bank of Canada, Scotiabank, Commonwealth Bank... there's more, but those three are the ones you'll likely see the most branches of. Temperature: It'll come as little surprise that the Bahamas is hot. Even when the Bahamians are complaining that it's cold, you'll probably think it's hot. As I write this, it's a cool evening of 24C (75F). Summertime temperatures go soaring up much higher, and the scales routinely top the 30C mark or the high 90s. It's not always baking hot sun though, sometimes that warmth comes with bursts of stormclouds (we'll not mention hurricane season in August just yet) and rain. So along with the flip flops and light T-shirts, a light waterproof might not be a bad idea in your suitcase. Eating out: Food costs range quite a bit - and part of that probably depends what part of the island you're in, too. The main island is New Providence, but just across the bridge there is Paradise Island, with the Atlantis complex, where food is generally a bit more expensive. Sometimes a lot more, if you try the likes of Nobu, the famed sushi restaurant (I haven't yet, but I really must). At the lower end of the scale, you can grab hot dogs from vendors for a couple of dollars, and the likes of McDonald's, Burger King, KFC and Sbarro's are all around, offering combo meals for $6-$10. Not much more expensive are some of the meals on offer at the Fish Fry. The Fish Fry is a great stretch of permanent stalls on Arawak Cay, just a little way along from the edge of Downtown Nassau, where you can get a taste of Bahamian-style food, such as conch salad or conch fritters. It stays open late, too, so once Downtown starts to close down, it's a good place to drift along to. There's another fish fry over under the bridge to Paradise Island, at Potter's Cay, which I prefer out of the two - there's a lively buzz down there on a night, and Phil Brown's stall down at the end is a good place to hang out. Nassau and Paradise Island also have a good selection of restaurants to choose from. For Italian, there's a couple of good choices in Luciano's of Chicago and Milano's. Luciano's is fancier, Milano's is more relaxed. A meal at Luciano's will probably cost you $25 plus drinks. Milano's a little bit less. That kind of price range tends to cover a lot of the restaurants - although places like Blu, pictured above,a fairly new and rather fancy restaurant in atmosphere, will set you back more. There's also the array of restaurants on Paradise Island, which again will cost more - a steak can cost you up to $50 at some of those. In terms of types of restaurants, there's a good range, from steakhouses to Chinese, local style to sushi, soft music to Hard Rock. Burgers are commonplace on many menus Downtown, but there's usually lots to choose from aside from that. Another option for food can be wrapped up with entertainment as well, with day passes for the hotels. These can be decent value - I saw one recently advertised for $100 for the day for a couple - and gives access to all the facilities for swimming, water sports, etc, plus the dining halls with copious amounts of buffet food available. Service charges are often added in to the bill - you can expect a 15% service charge. But check the bill to be sure, and leave a fair tip if not. There's also the occasional bar that will put a service charge when you buy a drink - Senor Frog's, a tourist trap of a place that can actually be quite fun, is one such place, where the service charge took the bill for two drinks - well, one sensible drink and one ludicrous cocktail - to $20. Drinks, I find, are where you can spend the most money. Prices for the odd tipple can easily send your bill upwards. But a good rum and coke is never a bad thing. Getting around: Taxis can be pricy around Nassau, but they can also be pretty good value. The best thing to do is haggle and ask how much they will charge you to take you somewhere before you get in. Or phone one to pick you up. The main two taxi numbers are 1-242-323-5111 and 1-242-323-4555. If you get a good taxi driver, get his direct number too, worth having. A trip from Downtown to Cable Beach by taxi shouldn't cost you more than $15 - in fact, taxis running on the meter (a rarity) will more likely charge you closer to $10-$12. Be aware there will be traffic jams however - driving in Nassau is more of an exercise in patience than skill. Apart from taxis, Nassau also has the quite fabulous jitney system. Jitneys are essentially a bus service, but one where your fare is pretty much the same wherever you go. $1.25 per person will get you anywhere (it goes up a bit to get you to the airport). They can be lively. You might well find a discussion about politics going on. Or religion. I even found one where the driver was playing his XBox whenever the traffic came to a halt. That's it for this blog post, covering the kind of costs you can expect to find. Tomorrow, I shall be blogging a Places to See, Things to Do post (including the likes of Atlantis, pictured). Recommendations for additions to that welcome either here or at my Facebook profile.